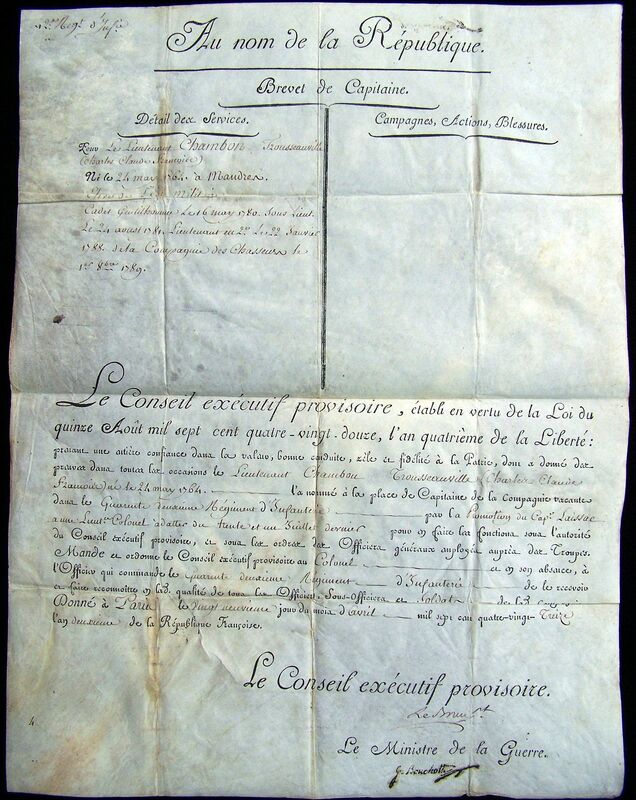 Jean Lannes would grow up in France during the American Revolution of 1776, and it’s ideas of liberty and equality which sparked the French to expel its monarch. 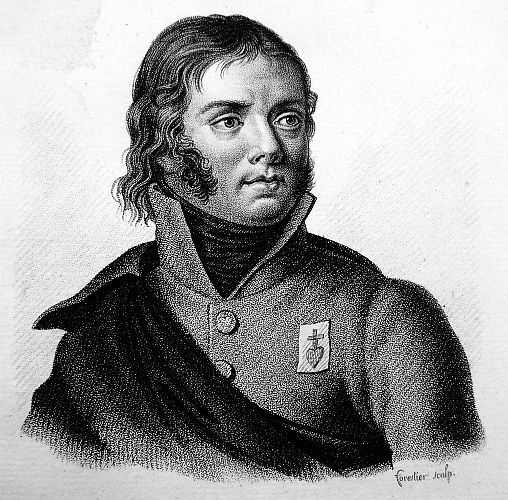 He was born on the 10th of April 1769, in Lectoure which is located in the Province of Gascony. He probably played army like most kids, and I imagine that with all the British hatred in the air, they were always the enemy. Perhaps fighting the English at sea, or charging them on the plains of Europe. 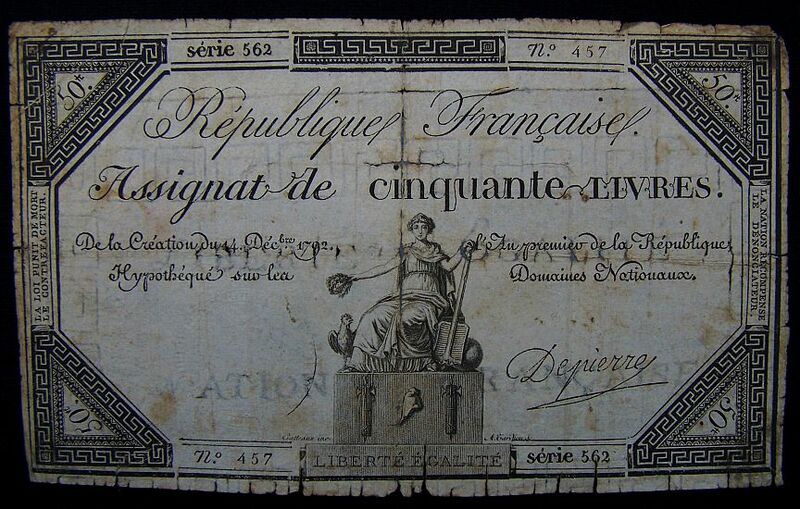 One thing is for sure, American independence inspired many French to rise up, and demand change. Paris erupted with rioting crowds and they would storm the Bastille on the 14th of July 1789. Lannes would also grow to hate the aristocrats, and if he were in Paris, would surely have been at the front of the mob. King Louis XVI was seized after trying to flee his beloved country and would be accused of aligning with the enemies of France. 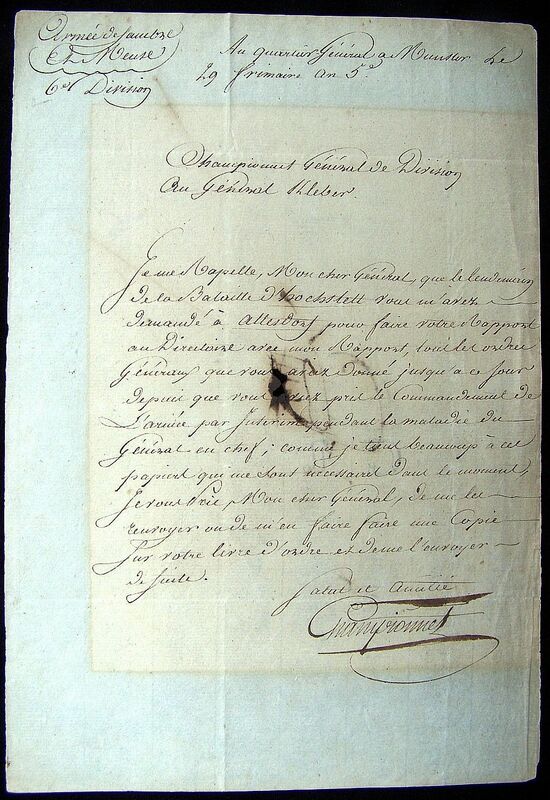 On the 21st of January 1793, the King lost his head to the guillotine, and a reign of terror introduced by Robespierre would bring many to the chopping block. After the King’s execution the major European powers formed a coalition to bring an end to the revolution, and restore a monarch to France. The Austrians and Prussians attacked from the east while the British attacked by land and sea. 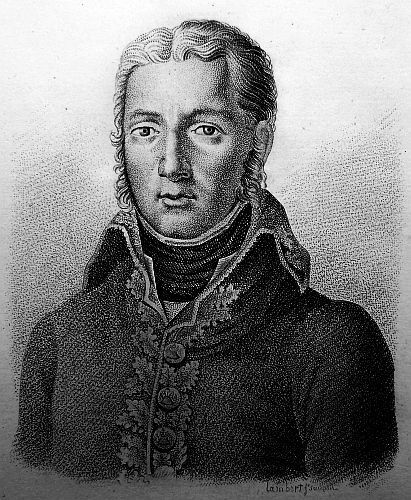 The Spanish would engage France from the west and Lannes would start his military career fighting them. 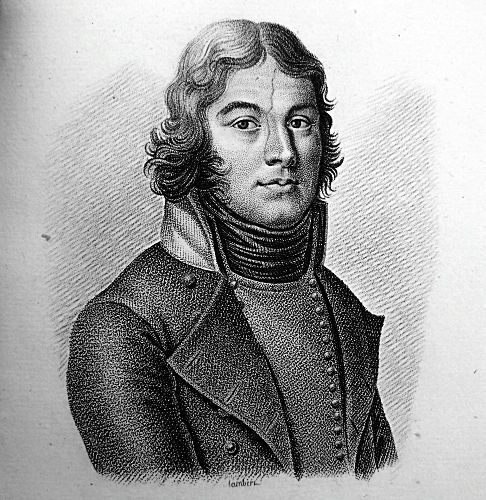 Lannes would enter the army as a volunteer. We learn from Lectoure, that a most dreadful thunder storm happened in that city the third of June, which nearly destroyed the tower of the Cathedral, and did very considerable damage, so as greatly to alarm all the neighborhood. The dreadful and unexampled hurricane, which ravaged the city of Lectoure, and all the neighboring parishes on the 28th of June last year, had already greatly damaged the cathedral, upon which the present storm fell. The hail, which has laid waste the country around, was so large and abundant, that the memory of man does not furnish an instance of any thing so disastrous. General in Chief of the Centre Army. I hasten, Sir, to inform you of the action of yesterday. 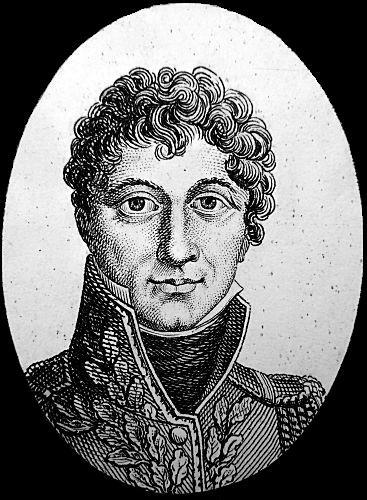 At day-break the enemy attacked M. DESPRES CRASSIER, who commanded my advanced guard; he defended himself with skill and valour, and fell back upon the main body under my command. The enemy in great numbers marched in several columns. 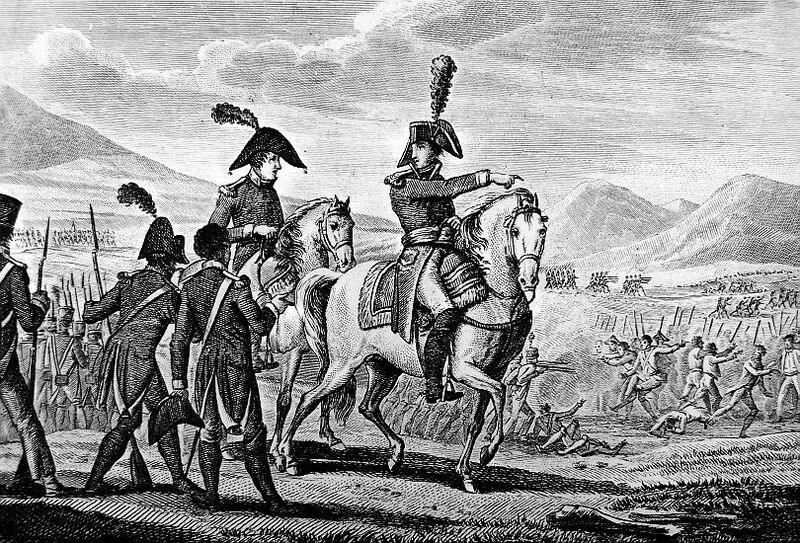 M. DE VALENCE, at the head of the grenadiers and carabineers, sustained this attack for a long time on a rising ground. They filed off their troops towards my right wing, under the protection of an immense train of artillery. I then formed my troops into line, and, disagreeable as my situation was, offered them battle from seven o’clock in the morning to seven at night. They never dared to attack me, notwithstanding their great superiority in numbers, but confined their operations merely to a cannonade of fourteen hours, by which I lost a number of brave men. We hear that the enemy has sustained a prodigious loss, particularly their artillery and cavalry. I retained my post till ten o’clock at night, and then took another position on the right of the enemy, who suffered me quietly to make this movement, although it was not completed till this morning. I cannot do sufficient justice to the valour and zeal of the officers and men. I saw whole ranks swept away by the explosion of three ammunition waggons, set on fire by a howitzer, without, the line being broken. A part of the cavalry, and particularly the carabineers, were for a long time exposed to a very galling fire, and shewed themselves models of courage and firmness. I had entertained a hope that their cavalry would engage mine, which disposed of in such a manner as to promise success. 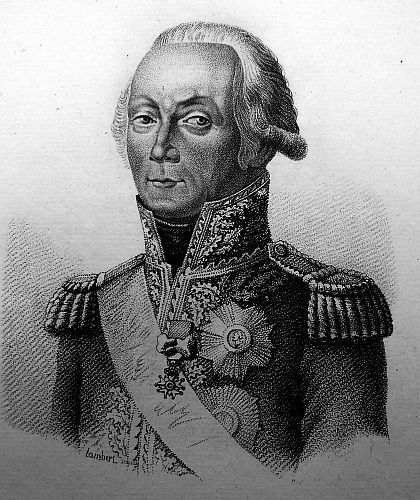 M. SERAMOND, Major General of Artillery, had, as well as myself, his horse struck by a cannon shot. 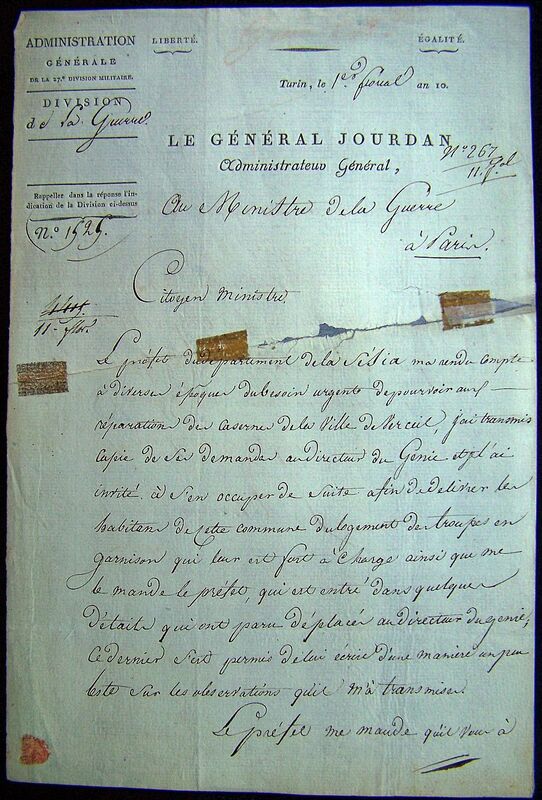 Among our friends, whose loss we have to regret, is M. LORMIER, Colonel Commandant of a battalion of grenadiers. In the embarrassment that must attend particular mention, I shall select only M. DE CHARTRES and his Aide-de-Camp, with M. MONTPERSIER, for the praise and good conduct and courage in the midst of danger, from a very hot fire. (These are the sons of the ci-devant Duke of ORLEANS.) 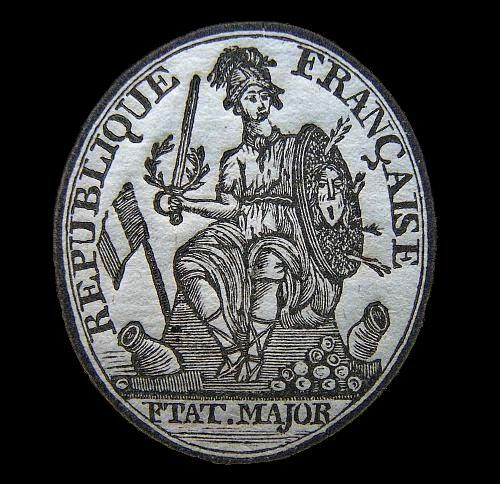 The French nation, after what I saw yesterday, may be assured, that the best disciplined soldiers cannot excel those who have devoted themselves to the defence of liberty. They shewed the most perfect confidence in their officers, by the manner in which they adhered to their posts. 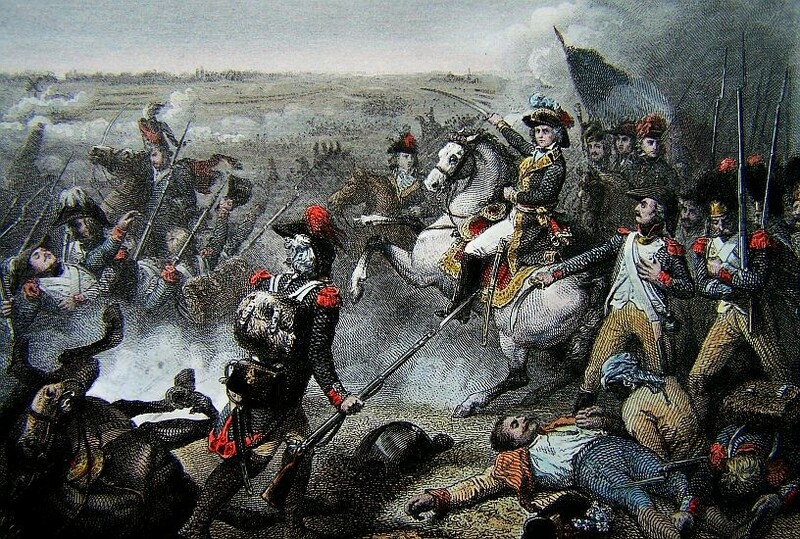 General DUMOURIER came and passed several hours with me at the batteries, and would have brought his whole army, if he had not been apprehensive of being attacked himself. He sent me more troops than I had reason to expect in his position; and I cannot sufficiently praise his conduct. Our loss amounts to about 250 men killed and wounded. The Heights of Jamappes, on the 6th Day of November, as Read in the Nation Convention on Friday Last. For five days past the army of the Republic has been before that of the Imperialists; we have engaged every day; and the city of Mons has been, at length, the fruits of our victory. We have been received here this morning as brethren. The Sovereignty of the People is the basis of general opinion–every one is eager to take up arms to support the cause of Liberty. The Administrations are regenerating; elections are about to be held for all offices, and soon there will be no difference between Hainault and a French department. Our success gives strength to our arguments, and reason and justice are supported by arms. I cannot bestow the high praises on the valour of our troops, and their humanity after the battle–the most terrible in the memory of man:–40,000 French have forced 28,000 Austrians, entrenched in woods and in mountains, defended by more than 40 redoubts, 20 heavy cannon, a great number of field pieces and howitzers. All the preceding engagements had been in our favour, but the battle of Jamappes decided all–it was one of the most general ever fought: all the points of the enemy’s line and flanks were attacked at once–all the bodies of the army were in action, and every individual fought personally. After a most obstinate resistance, the French nation have every where triumphed by their two strongest means, their artillery and their swords. The Minister of War will give the Convention further details. It was impossible that a battle so disputed, and so glorious won, should not be attended with a considerable loss of men. I cannot as yet, procure an exact account, but I reckon the number of our killed at 300, and that of our wounded to be double. The loss of the enemy, between the 3d and 7th, but above all on the 6th, amounts to more than 1500 prisoners and deserters, and more 4,000 killed and wounded. We have taken nine pieces of cannon, two of which are of large calibre, besides a number of carriages, and a large quantity of ammunition. Prisoners and deserters are brought in to us every moment. The inhabitants, who have received us as deliverers, and as brethren, assure us, that more than 1000 Austrians have concealed themselves in the city, in order to surrender themselves to us. I have sent some light cavalry in pursuit of the enemy, who will still bring in more of them. We have found here a few magazines of provisions and forage, and I have ordered General BONNERON to march on one side, with 8,000 men, and General DAMPIER on the other, with almost as many, to take possession of the town of Ath, with all the large magazines which it contains. The Austrian army retired in the greatest disorder. They took the route towards Brussels and Brunelle Compre. They were to be joined on the morning after I attacked by the body under the command of General CLAIRFAYT. I shall lose no time in pursuing them. The troops, notwithstanding their being on duty three nights, having been engaged for four whole days, and being in want of many necessaries, which could not arrive so speedily as the emergency of the case required, shewed an ardour and firmness, which will certainly overcome all difficulties. This army, as well as the Generals and other officers, deserve the confidence and esteem of the nation. 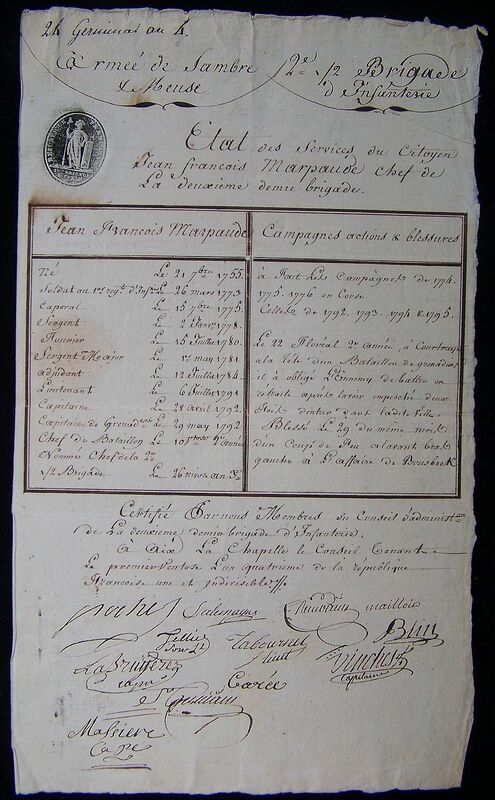 Bulletin of Field Marshal Prince Saxe COBOURG,of the Action Which Took Place on the 18th Near Tirlemont. Our van guard, which marched the 14th instant from Tongra took up their cantonments beyond that town. The 15th they advanced to Orsmaal their head quarters were established at St. Tron, and the body of the army cantoned beyond St. Tron. The light troops met the enemy on the road of Tirlemon, and drove them through that place, and beyond it. On the 16th the army left their cantonments, in order to form a camp beyond the river Gelhe, when the two armies met unexpectedly, on their march; for the enemy advanced from Louvain, with a design to surprize us in our cantonments. The enemy had just retaken their position of the town of Tirlemont, which they before had evacuated. A very severe cannonade began on both sides, which continued the whole day, but with very little loss on either side, when night put an end to the combat. As our army could not reach the River of Grand Gelhe, and as we should have been in want of water in our then position, the Field Marshal Prince COBOURG ordered a retreat in the evening, towards the road of Orsmaal, and the army occupied during the night the heights along the little river Gelhe. On the 17th, our army took a position, which was not defensible. It was taken merely for the purpose of having an extent of ground, to enable us to attack the enemy on several quarters at once, in case they advanced. The little river of Gelhe was in our front, and our van was posted along that river; our right wing extended to the road of St. Tron, where the van-guard, under command of the Arch Duke CHARLES, was encamped, and next to them the whole army, in two lines of battle; the first, under command of General Count COLLOREDO; and the second, under the Prince of WURTEMBERG. They had the villages of Orsmaal, Guthenhofen, and Neervinden in front. Their left wing was commanded by General Count CLAIRFAYT; this wing was going to take post between Racour and Landen. The enemy remained in their position behind Tirlemont. On the 18th we saw the enemy at day-break marching towards us in different columns. They extended to the right and left of the road towards the heights on the side Tirlemont, in such a manner that their right reached Guthenhofen, and their left Willmorsum. About eight in the morning a column, proceeded by a quantity of heavy artillery, advanced on the road of St. Tron, towards Orsmaal, from which place they dislodged our Franc Corps, and raised considerable batteries near the church. The Archduke, on his side, immediately raised batteries with the artillery of the van-guard, and dismounted several cannon of the enemy, which however, they had the skill to supply instantly by others. Although this was an obstacle to their advancing, they however pushed forward with so much activity, that they profited by the advantage of the ground, and marched a column on the left towards the water, and another through Raccour upon our flanks, and even on our back, in order to turn us, leaving at the same time a sufficient number of troops, in the centre, to make use of them in case of necessity. The Field Marshal planned his attack against their different columns in this manner. The Prince of WURTEMBURG was ordered to advance on his left towards the water, and Lieutenant Field Marshal BEMJOFSKY advanced on the road towards Orsmaal and Donmael. 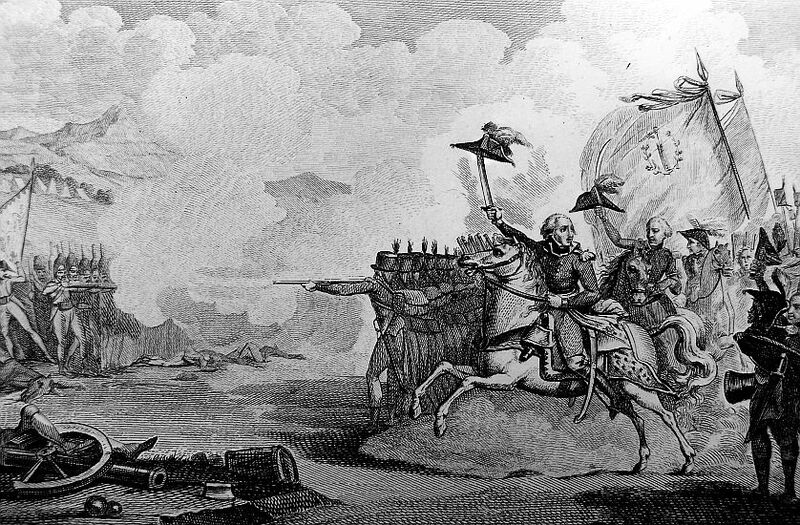 The Archduke CHARLES marched with two battalions of Starey, into the village of Orsmaal, General CLAIRFAYT towards Racour, and Count COLLOREDO remained in the centre; these Generals beat the French on all sides, and repulsed them. 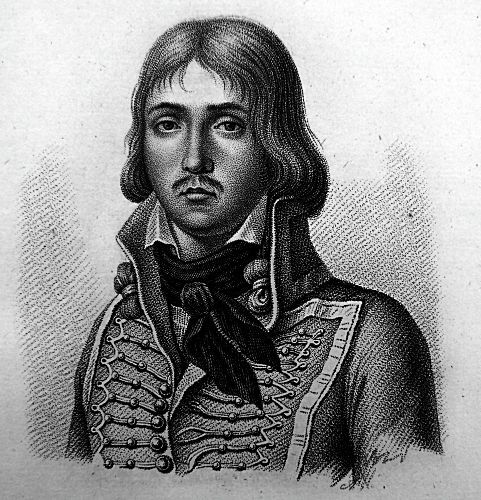 General DUMOURIER, at the head of 30,000 men, conducted in person the principal attack near Racour, on which the fate of the action depended; but General CLAIRFAYT marched his reserve, which consisted scarcely of 8000 men, and repulsed DUMOURIER, who, although he had rallied his forces again, was overthrown a second time. 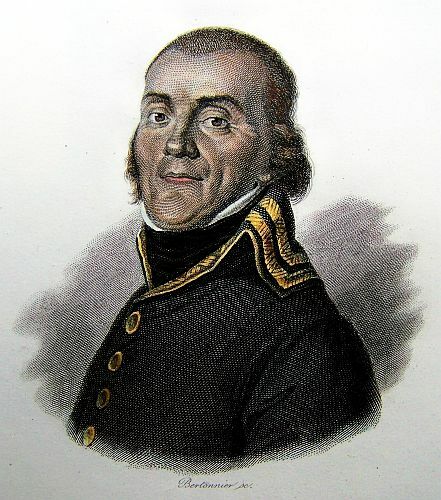 During the attack near Racour, the enemy advanced a column upon our centre; but Count COLLOREDO repulsed them, and dislodges them from the village of Neervinden, where he posted himself, when night again terminated an engagement which lasted 11 hours, which also prevented our troops from pursuing the enemy any farther. The extraordinary bravery with which our troops fought cost us dear; we lost between 12 and 1500 men, amongst whom we reckon Major HUGO ADONELLI, Killed; General ROBECK and Colonel RICHE, wounded, and several other Officers. The enemy lost at least 4000 men killed and wounded. We have taken from them above 30 pieces of cannon. Citizen Minister, I yesterday received your dispatch in the field of battle. The right division under General DUQUESNOY, has forced the camp and the post of Wattignies, which was impregnable from its position; but nothing could resist the bayonet of the Republicans. 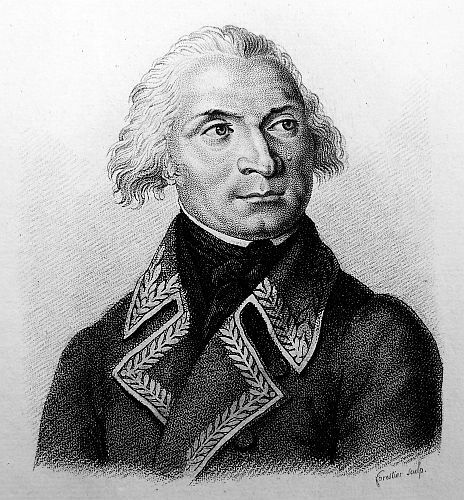 The left division, under the command of General FORMENTIN, has forced St Waast, St. Remy, and St Aubin. I this moment learn that the enemy has, during the night, evacuated the entrenched camp which they occupied upon the heights of Bouslers, without doubt because they feared being surrounded there. I am going to mount my horse, and hope to give you a good account. The battle lasted yesterday from eight in the morning till night. The enemy lost a great many men; the Republicans fought with unexampled courage. The Representatives of the People, CARNOT and DUQUESNOY, marched at the head of the troops which charged. They cashiered on the field of battle the General of Brigade GRATIEN, who having received orders to advance, beat a retreat: this act of justice has had a good effect, and the brigade at length retook its post. I have not the time to give you a fuller details at the present moment: it is more important to fight than to write. In my last letter I mentioned to you his Imperial Majesty’s intention of making a general attack with his whole force, in order, by a joint co-operation with the troops under the command of General CLAIRFAYT, to compel the enemy to evacuate Flanders. On the 16th at night the army moved forward, for this purpose, in five columns. The two columns on the left were intended to force the passages of the Marque, and, by a vigorous attack on the enemy’s posts along the river, to cover the operations of the three remaining columns: These were destined to force the enemy’s Posts by Roubaix, Waterloo, and Moucron, thus to favour General Clairfayt’s passage of the Lys, and then, by a junction with his corps, to have cut off the communication between Lifle and Courtray. Unfortunately the two columns on the left forced the passage of the Marque so late, and were so much fatigued by the length of their march, that they were not able to accomplish the remainder of the proposed plan, while the column on the right, under General BUSCHE, finding the enemy at Moucron in much greater numbers than had been expected, was under the necessity of relinquishing its attack, and of retreating to its former position at Warcoing. 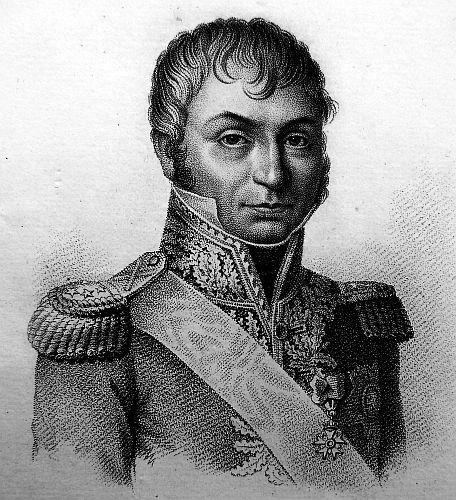 Lieutenant-General OTTO proceeded with his column through Leers to Waterloo, from whence, after some resistance, he drove the enemy, and pushed on to Tourcoing. My column consisted of seven battalions of British, five of Austrians, and two of Hessians, with six squadrons of light dragoons, and four of hussars. We moved forward from Templeuve to Lannoy, which we forced the enemy to evacuate, after a short cannonade, in which I had the misfortune to lose Major WRIGHT, of the Royal Artillery, a brave and deserving Officer. Having left the two Hessian battalions at Lannoy, I proceeded to Roubaix, where we found the enemy in great strength both of men and cannon. The resistance was proportionably stronger, but equally unavailing, as the enemy soon found themselves compelled to retire, which they did towards Moucron. Having at this time no intelligence of the two columns on my right and left, notwithstanding I had made every effort to obtain it, I did not think it prudent to advance any further, but was resolved to have left my advanced guard, under the command of Lieutenant-General AMBERCROMBY, at Roubaix and, with the remainder of my corps to have taken position on the heights behind Lannoy. The orders for this purpose were given, but having acquainted his Imperial Majesty, who had advanced to Lannoy, with my intention, the necessity of co-operating with General CLAIRFAYT induced his Majesty to direct that I should proceed to the attack of Mouveaux. I accordingly directed the attack to be made by Lieutenant-General AMBERCROMBY with the four battalions of Guards. He found the enemy strongly entrenched, but having cannonaded it for some time, the good continence of the flank battalion of Guards, who advanced to storm it with the utmost order, supported by the first battalion, and seconded by the 7th and 15th light dragoons, under Lieutenant-Colonel CHURCHILL, compelled the enemy to retire, with the loss of three pieces of cannon, and a considerable number of men, who were cut down by the light dragoons in the pursuit, which was continued as far as Bouderes. Upon maturely considering the nature of our situation, I directed Lieutenant-General AMBERCROMBY to remain at Mouveaux with the four battalions of guards; and having posted four Austrian battalions to cover Roubaix, I detached the second brigade of British infantry, under the command of Major-General FOX, to take post on my left, on the great road leading from Lisle to Roubaix. The cavalry was divided with these several corps, for the purpose of patrolling, the nature of the country not admitting of their being of any other use. My advanced posts communicated with those of General OTTO, on my right, who I now found had got possession of Tourcoing. Early next morning the enemy attacked the post of Tourcoing in great force, and I received an application from Colonel DEVAY, who commanded there, to make a diversion in his favour; for which purpose I sent two battalions of Austrians, giving them express directions, if they should be passed, to fall back upon me, but, by some mistake, instead of doing so, they joined Colonel DEVAY. From this circumstance an opening was left on my right, of which the enemy availed himself in the attack upon my corps, which took place soon after, and, by so doing, obliged me to emply the only battalion I had left, to secure a point which was of the utmost consequence to us. At this period a very considerable column of the enemy, which we have since learnt amounted to 25,000 men, appeared advancing from Lisle, whilst another corps, having forced its way thro’ General OTTO’S position by Waterloo, attacked us on the rear. The few troops that remained with me, soon gave way before such superior numbers, nor was it in my power, with every effort I could use, assisted by those Officers who were about me, to rally them. At that moment the advanced parties of the column from Lisle shewed themselves also upon the road between Roubaix and Mouveaux, and I found it impossible to succeed in the attempt which I made to join the brigade of Guards. Thus circumstanced. I turned my attention to join General FOX’S brigade but upon proceeding to Roubaix for that purpose, I found it in the possession of the enemy. 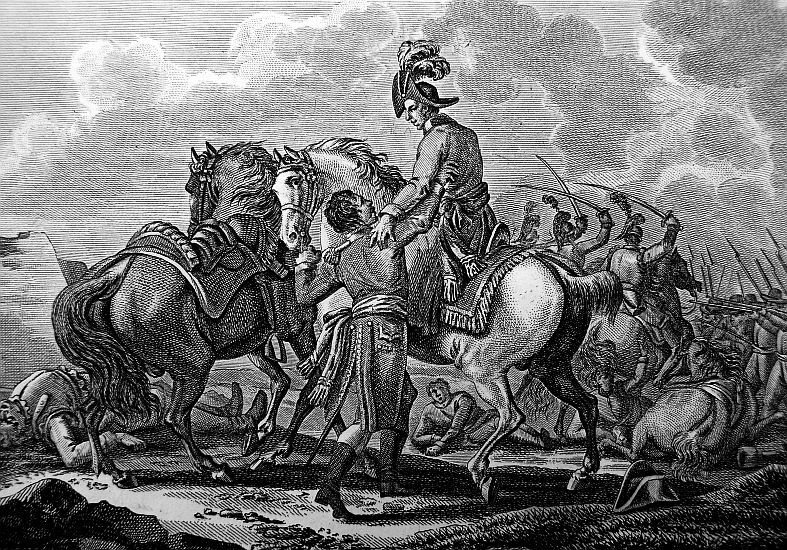 Thus completely cut off from every part of my corps, nothing remained for me to do, but to force my way to that of General OTTO, and to concert measures with him to free my own troops. 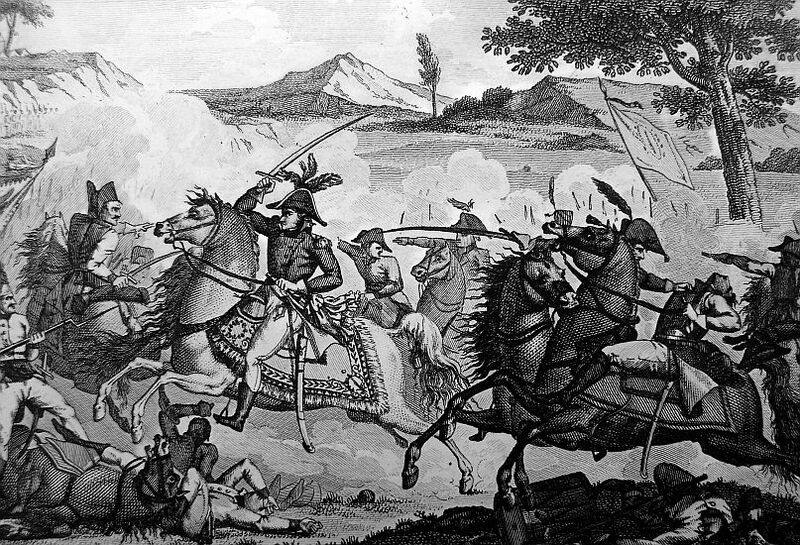 This I effected, accompanied by a few dragoons of the 16th regiment, with great difficulty; but the project of marching upon Lannoy, to which General OTTO had consented, as a measure which would greatly facilitate the retreat of my corps, being shut up, upon finding that the Hessians had been obliged to abandon that place, I found myself under the painful necessity of continuing with General OTTO’S column the remainder of the day. Previous to this, I had sent orders to General AMBERCROMBY to retire from Mouveaux to the heights behind Roubaix, where it was my intention to have assembled my corps; and the Coldstream battalion had been posted to cover the communications till he effected his retreat. 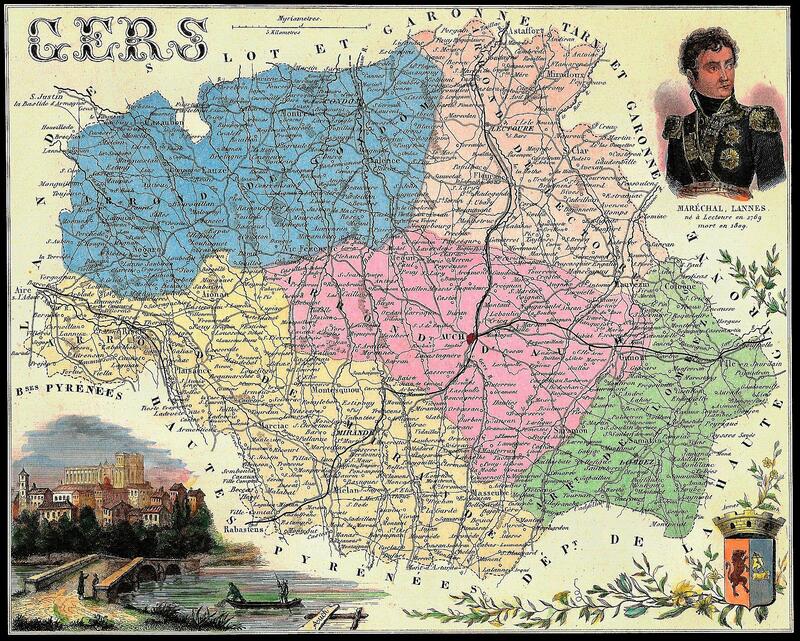 In consequence of these directions, General AMBERCROMBY began his retreat, and on his arrival upon the Heights at Roubaix finding himself surrounded upon all sides, without a possibility of assembling the corps, he determined to continue it to Lannoy. This he effected amidst the repeated attacks of the enemy, who poured upon him from all parts. 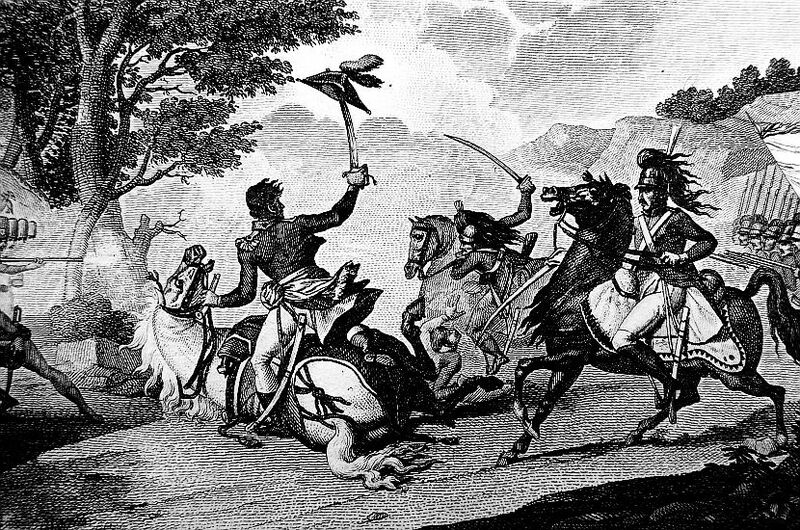 General AMBERCROMBY found Lannoy also in possession of the enemy, but he avoided the town by marching round it under a very heavy fire, and soon after reached Templeuve. 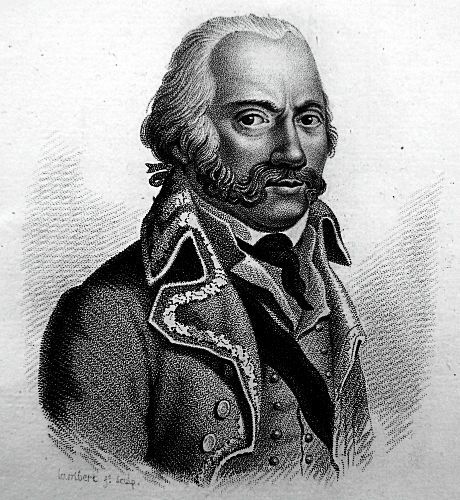 Major-General FOX, after sustaining, with great resolution, a very vigorous attack from the principal part of the column which came from Lisle, began his retreat also, and finding himself cut off from the brigade of Guards, and Lannoy occupied by the enemy, he directed his march upon the village of Leers, at which place he joined the column of Lieutenant-General OTTO. I enclose you a return of our loss upon this occasion. 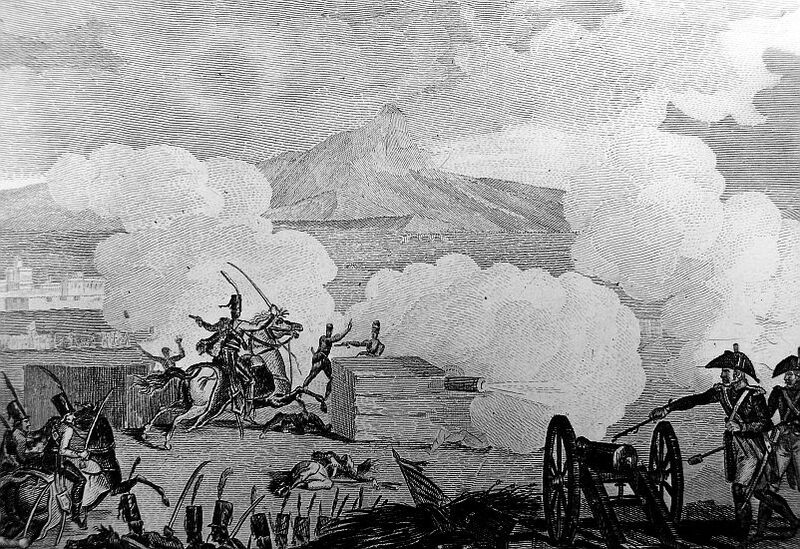 I regret that it is so great, but when the nature of the action is considered, and that it was conducted in a country the most favourable to the views of the enemy that they could have wished for, while their perfect knowledge of these parts enabled them to take every advantage of it, it might have been expected to have been still more considerable. From the badness of the roads, the loss of the horses, and the timidity of the drivers, the leaving a part of our artillery became inevitable. I am to desire that you will assure his Majesty, that the officers and men shewed all the firmness and resolution on this occasion that could be expected from them; and it would be an injustice done to the rest to distinguish any particular corps. 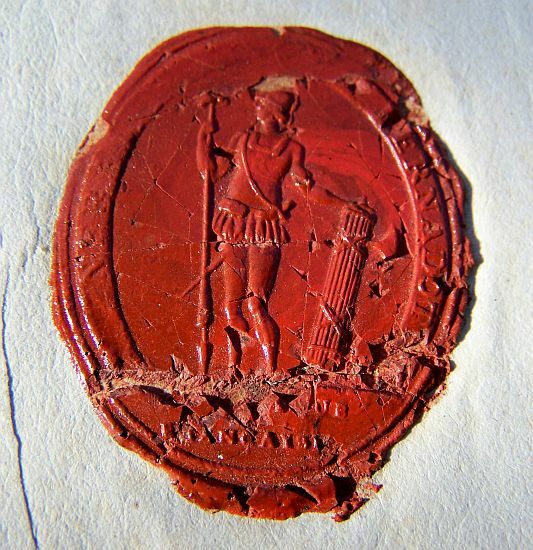 The abilities and coolness with which Lieutenant-General AMBERCROMBY and Major-General FOX conducted their different corps under these trying circumstances, require, however, that I should particularly notice them. 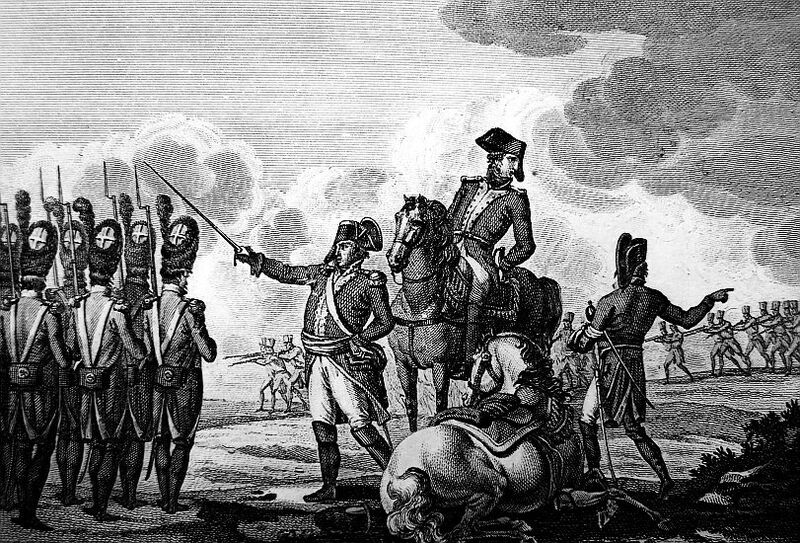 It is a peculiar consolation to me that the column under my command executed, to the full extent, their intended part of the operation; and that in check which they afterwards sustained, the conduct of the British troops has entitled them to the warmest expressions of gratitude and admiration on the part of his Imperial Majesty. I have the satisfaction to acquaint you for his Majesty’s information, that yesterday morning the Enemy, having made an attack upon the Combined Army under the command of his Imperial Majesty, were repulsed, after a long and obstinate engagement. The attack began at five o’clock, but did not appear to be serious till towards nine, when the whole force of the enemy (consisting, according to every account, of upwards of one hundred thousand men) was brought against the right wing, with the intention of forcing, if possible, the passage of the Scheldt, in order to invest Tournay. At first they drove the out-posts, and obliged General BUSCHE’S corps, which was posted at Espierres, to fall back upon the main army; but upon succour being sent, General WALLMODEN, who, though very unwell, had retaken the command of the Hanoverians, maintained his position. The enemy, by constantly bringing up fresh troops, were enabled to continue the attack, without intermission, till nine o’clock at night. The troops of the right wing being greatly fatigued, it became necessary to support them from my wing; for which purpose, besides seven Austrian battalions, I detached the 2d Brigade of British, under the command of Major-General FOX. Nothing could exceed the spirit and gallantry with which they conducted themselves, particularly in the storm of the village of Pentechin, which they forced with the bayonet. The enemy immediately began to retreat, and during the night withdrew all their posts, and, according to every information, have fallen back upon Lisle. Seven pieces of cannon and about 500 prisoners have fallen into our hands, and the enemy’s loss, in killed and wounded, is said to amount to little short of 12,000 men, which is by no means improbable, as they were exposed to an incessant fire of cannon and musquetry for upwards of twelve hours. The manner in which General FOX conducted the brigade of British infantry of the line merits my warmest approbation. Enclosed I send the returns of the killed and wounded of the British. 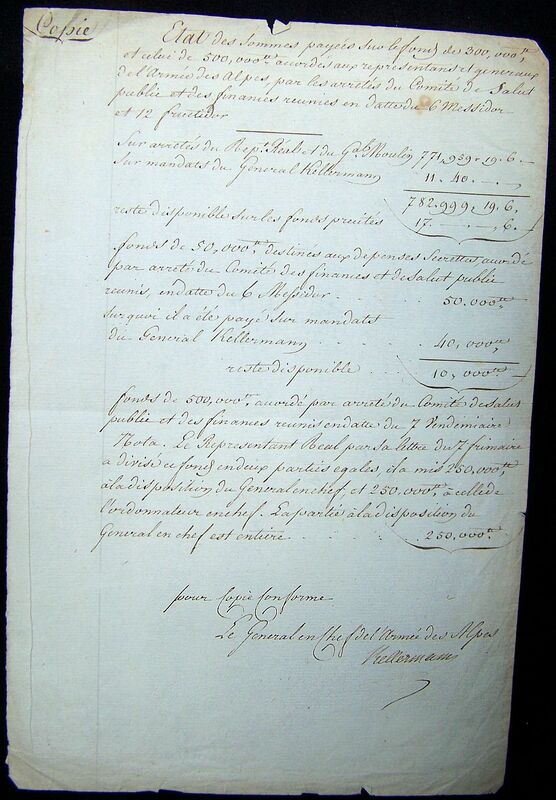 JOURDAN, Commander in Chief of the Army United on the Sambre, to the Committee of Public Safety. From the Head-quarters at Marchienne-au-Pont, June 27. Citizen Representatives, the army of the Republic, united on the Sambre, was attacked at three o’clock yesterday morning, on all points. The artillery of the enemy was immense; and, notwithstanding the valour of our troops, victory remained undecided till six in the evening. But a charge of our cavalry, at the head of whom was General DUBOIS, upon the numerous artillery of the enemy, put them completely to rout, and the Republicans remained victorious in every quarter. I cannot, in the present moment, give you the details of this brilliant day; I have ordered the Staff Officers to collect them, and transmit them to you. Our advanced guard, commanded by General LEFEBVRE, for a long time fought within pistol-shot against the cavalry and infantry of the enemy. The loss of the enemy must be immense; our loss is but inconsiderable, as we were strongly entrenched on all the essential points. Health and fraternity.